I spent last Friday touring a Georgie-Pacific manufacturing plant in Thorsby, Alabama. I saw first-hand how log trucks deliver the raw Southern pine that is converted into engineered lumber products, which is made ready for distribution right from the same location. The process is fascinating to watch, but the company’s need to protect “trade secrets” prevented me from snapping photos along the way. In a nutshell, the logs are chopped into 8+’ lengths and debarked, then transferred to a hot water bath that softens the wood for processing. The logs are then moved via conveyor belt to a huge lathe that utilizes a laser system to position each log for the most efficient cut. Then, within seconds, the rollers spin the log at a high rate of speed, and the lathe shaves the wood into a thin veneer sheet that rides down another conveyor for further processing. The core of the log that’s left in the lathe is then used for landscape ties. Up until now, this is largely the same process used to make veneer for plywood. At this plant, however, Georgia-Pacific is making Laminated Veneer Lumber (LVL). In case you aren’t familiar with LVL, these engineered products serve as beams to replace dimensional (2x) lumber. The LVL beams consist of 13 layers of veneer glued and pressed together in a heat-treated process at the plant, and the result is an exceptionally strong building product that resists shrinking, warping, splitting and checking. The LVL offers remarkable design values for bending, stiffness and shear strength. These manufactured beams provide a building solution for long, unsupported spans for grand entrances, wide doorways and dramatic window configurations. Sizes range from 1-3/4” and 3-1/2” thickness, and depths from 7-1/4” to 24”. 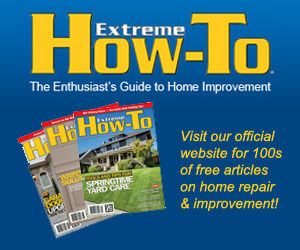 Planning to build an outbuilding or a new room addition? LVL beams might be a good solution for your next major improvement project. I really enjoyed the tour and always find it interesting to learn how these common building materials, which we often take for granted, make it from the forest to our local lumber supplier. 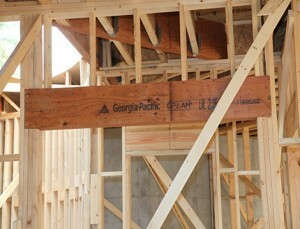 Learn more about Georgia-Pacific and engineered lumber at buildgp.com.